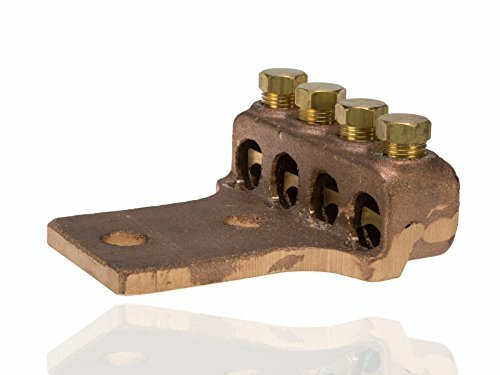 Type TL copper and cast bronze terminal lugs. UL listed. 4/0 str - 300 MCM Wire range. 1/2-inches Bolt hole size. 1000 Amp Nec. Measures 4-inches width by 1.25-inches height by 4.313-inches length. View More In Twist-on Wire Connectors.